Well, we did it lads and lasses. We somehow managed to survive another onslaught that was a year in the 21st century. For our endurance and perseverance, the wrestling gods are rewarding us with New Japan's annual 4 January Tokyo Dome show: the 13th instalment of Wrestle Kingdom. Admittedly, while New Japan have assembled one of the deepest wrestling cards in history, there isn't quite as much giddy anticipation for this year's show in comparison to others, at least among the New Japan faithful. Part of it has to do with the white hot excitement that preceded last year's Wrestle Kingdom, with Chris Jericho making his shocking return to the promotion, and Tetsuya Naito being the hottest act in the world at the time. But another part is that over the past year, New Japan fans have been left with more questions than answers. As the company continues to restructure and refocus their efforts on appealing to a global audience, the feeling among NJPW diehards is that there's been a shift in soul for the company. 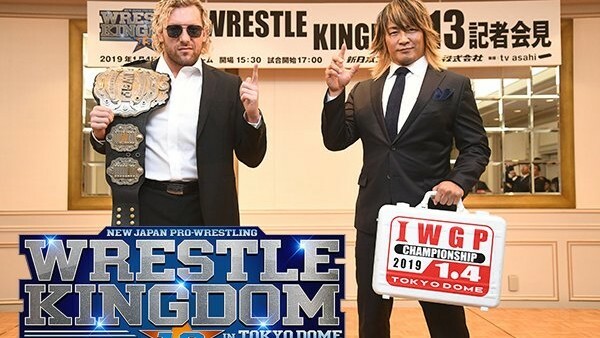 The shows still have the best wrestling in the world, but fans like to know where a promotion is heading in terms of creative and philosophical direction, and in terms of this year's Wrestle Kingdom, we have no idea what's going on in their mind. But that's all high-minded philosophical jargon. This 10-match card is still amazing on paper, and we're gonna tell you what to be most excited for, darn it!